Talk of the Royal Wedding is all that&apos;s consuming news channels, and now it&apos;s starting to trickle into the fashion world. 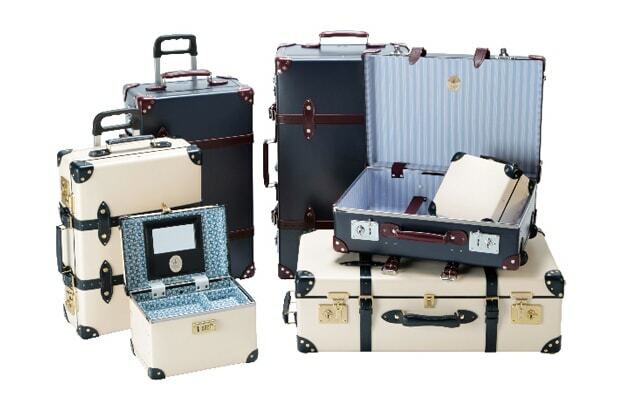 British luxury company, Globe-Trotter has designed this special edition luggage collection in celebration of the Royal Wedding between Prince William and Kate Middleton. The company has released these seven different hard-shell models in both “William” and “Kate” versions. The “William” set features a navy and chocolate shell with a striped shirt lining, and the “Kate” set features an ivory and navy shell lined with a more feminine print. You can order the set exclusively through Globe-Trotter now.